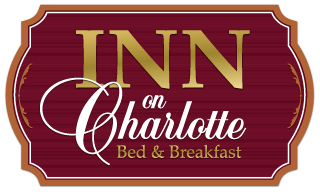 Our breakfasts are cooked fresh, with hearty, wholesome ingredients, and made with the Inn on Charlotte's signature style. Served at 9:15 each morning, we want our guests to enjoy familiar foods but with a fresh twist. Whether it's our fresh-made cinnamon-citrus syrup for French Toast Fridays or Turkey ham strata - gooey with two different types of cheeses - you're sure to find a delicious and tempting breakfast waiting for you in the morning after a refreshing night's rest. 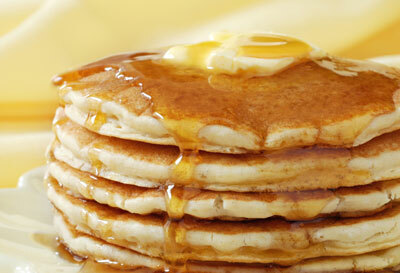 "... and an AMAZING breakfast! " 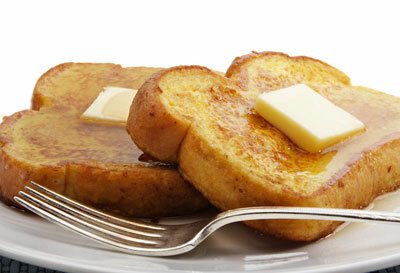 "... excellent-French toast with a cinnamon syrup. " "... Breakfast was great too "
"... 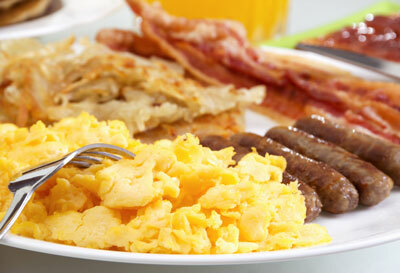 The breakfast is to die for. " "... The breakfast was wonderful. " "... Breakfast was truly unique and wonderful, a different one each morning. "